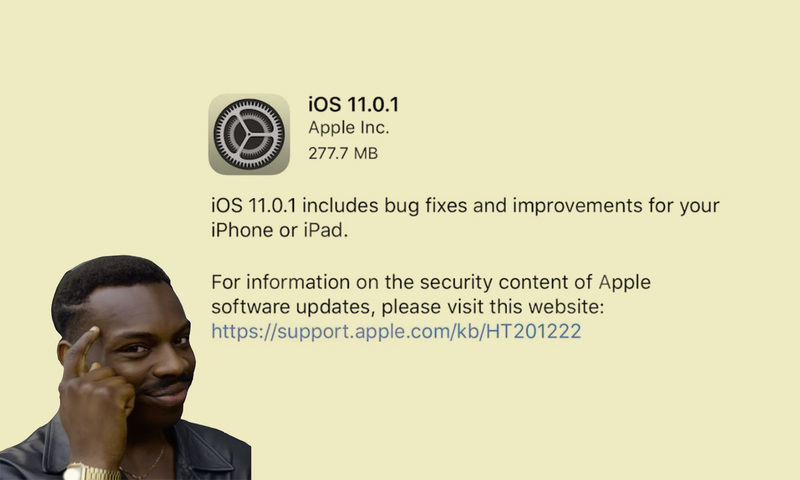 Apple has released a new update for its iPhone and iPad, iOS 11.0.1. It will already be in your notification if your phone supports new update. There were lots of complaints about mailing and battery problem in the new iOS 11. Apple acknowledged it by putting a statement on their service page. The issue was iOS user cannot send or exchange email from outlook, office 365 and exchange 2016 with its native mailing app. Apple reportedly confirmed that by informing the user that new update will resolve the issue. Also, a similar issue was surfaced in iOS 11 about battery consumption, the user complains that battery does not last longer or better performance decline by half from iOS 10. Mobile security firm Wandera took a survey with 50000 iPhone and iPad user and come up with data that suggests iOS 11 is a battery killer. However, with this new update apple promises to fix all the issue on hand. The new iOS 11 including many features like smarter new Siri, document scanner, searching handwritten notes, Do not disturb feature while driving, live Photo, new file app, multi-tasking feature for iPhone and iPad, drag and drop feature in iPad and much more. Few features yet come like indoor mapping, now you can travel to any mall or shop with a map of inside so you wouldn’t get lost, also new payment feature. Apple is second largest mobile company in the world, with the new iPhone X and new iOS 11 more and more people are attracted to buy them. With finest and latest technology at hand, Apple seems to be unstoppable; this new update also proves that Apple is customer oriented service. After getting lots of complaints apple was quick to update its new iOS and solve the issue with some bug fixes. With the customer in mind, Apple is getting bigger and stronger every day.